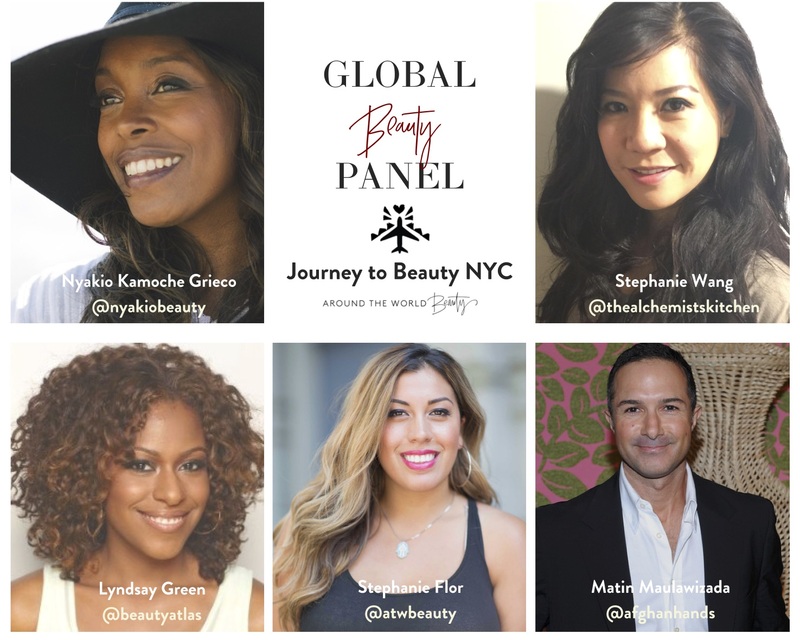 At our Journey to Beauty NYC event, the Global Gathering featured a panel of leaders that are making waves in the beauty industry. 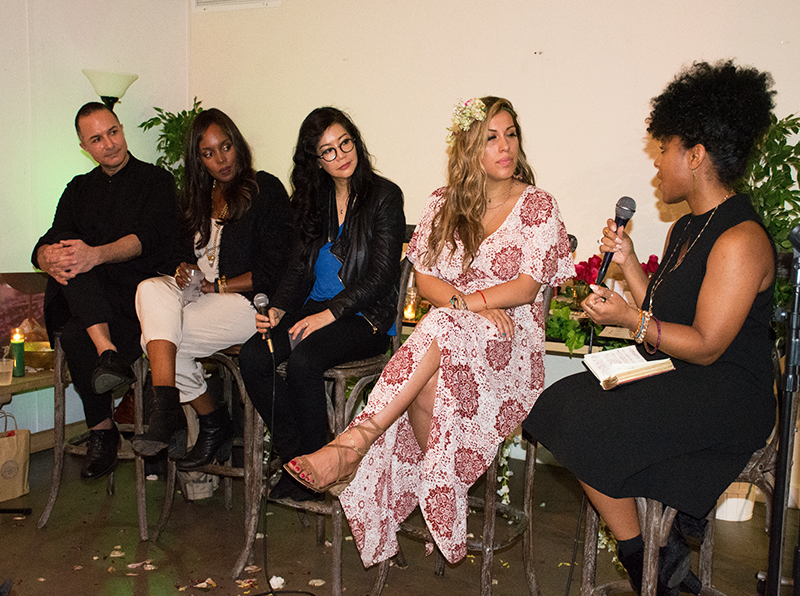 Hosted by Lyndsay Green, Editor and Chief of Beauty Atlas, our panelists discussed Global Beauty + Diversity in this day and age. Matin Maulawizada – As a NYC celebrity makeup artist, Matin also has a company called Afghan Hands. It is an embroidery project that helps women of Afghanistan gain their freedom. Nyakio Grieco – Founder of Nyakio, her skincare brand launched 6 weeks ago at ULTA. As the 1st generation American in her family, Nyakio’s grandmother was a coffee farmer and her grandfather was a medicine man, giving her the inspiration for her brand. Stephanie Wang – Born in Hong Kong, Stephanie is the president of The Alchemist’s Kitchen, which focuses entirely on the power of plants for conscious living – incorporating plants into life, connecting the mind, body, and spirit through plants. The Alchemist’s Kitchen combines different ancient wisdoms and traditions from around the world to share how plants actually heal in a contemporary setting. Stephanie Flor – As our ATWB Founder and the host of this event, Stephanie supports beauty that starts at the source and the wisdom of women. She’s traveled to over 30 countries to discover the source of beauty, hoping to empower women through a beauty conversation. The discussion was a full-circle conversation about beauty: the source of beauty, and how we see and share beauty. 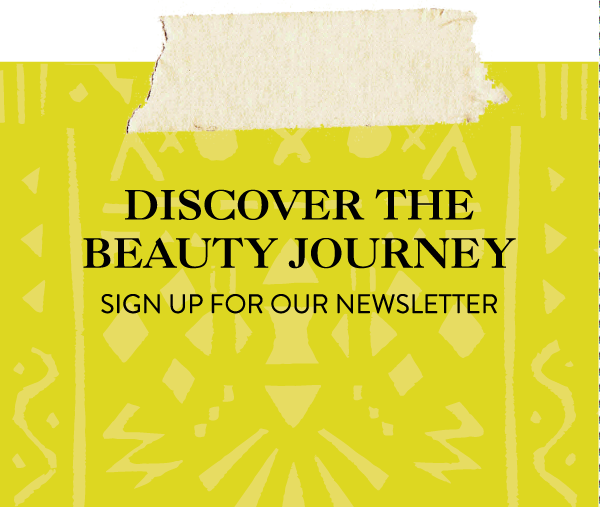 Stephanie Flor talked about how important it is to learn the ancient wisdom behind beauty rituals, because “there is power in knowing where we come from and who we are”. Nyakio has a personal connection to her roots from visiting her family every summer in Kenya. Her global beauty secrets are the connectivity to her family, keeping traditions alive. Storytelling is a huge part of her brand, because it is the very story of her family’s culture that brought her beauty brand to life. Matin shared how happy he was “to be in a society that shares this with one another”. Family recipes and secrets are important to everyone. “Global beauty is nourishing”. He also touched upon the cultural differences that are present in the beauty community. While American beauty enthusiasts often times focus on the long-wear and performance of color cosmetics, Matin believes the opposite, because “the most romantic thing about a lipstick is when it comes off and leaves a mark on your wine glass”. The most important thing is share these focuses with one another, and we can all grow as a result. Beauty Ingredients are a huge part of Around the World Beauty, and all the panelists were excited to talk about various recipes they’ve noticed these days. “Ingredients have a story” says Nyakio, “and an authentic ritual”. She uses quinoa, for example, in some of her products. Not only does she use it because it works, but “quinoa is the mother grain, as harvested from mothers and grandmothers in Peru”. Sharing beauty from other cultures can sometimes be a sensitive topic, but Nyakio says the key is “mindfulness and integrity”. Writing about ethnic secrets “should be done in a loving way”, says Matin. Inclusivity is the goal whenever we discuss global rituals (which is all the time, here at ATWB) and the purpose is not to exploit other cultures, but to learn from them. Stephanie Wang’s goal is to share original stories from the real points of view from others, because that’s where the truth comes from. 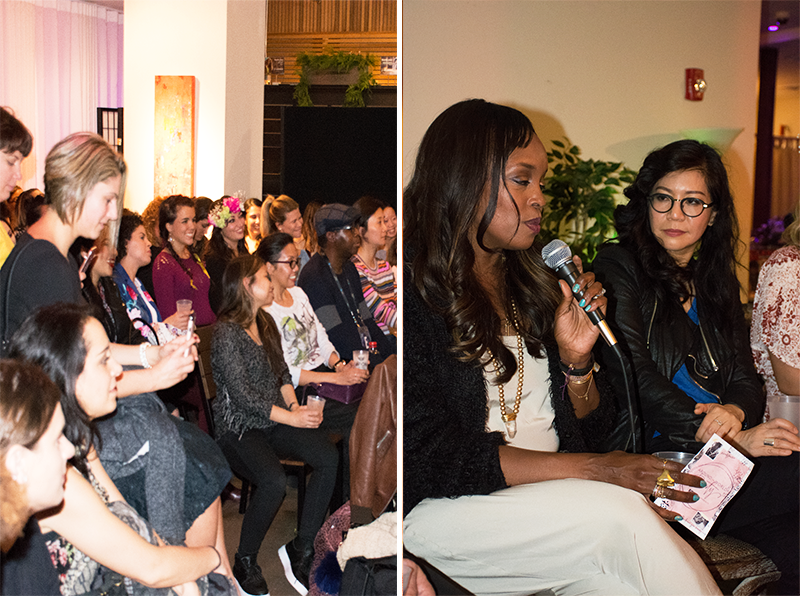 Lyndsay questioned how the beauty industry has grown in terms of diversity, and Nyakio began answering by applauding how consumers are becoming more savvy. Consumers are doing more brand research now, figuring out which ingredients are important. “This isn’t a trend, it’s here to stay”. Matin shared that we’ve also come a long way with more diverse business leaders and women, and women of color in the beauty industry. Stephanie Wang explained how she loves to see people connecting beyond what they know visually, and connecting more on a personal level. Stephanie Flor loves seeing women travel more to connect to different cultures and find their curiosity of the world. An audience member posed the question “how do men play a role in this conversation about mainly female-focused beauty?” and Matin replied saying that men definitely have a larger role than we think. Globally, men take a larger part in beauty, and many of them even wear makeup. Whether they’re outwardly enjoying beauty products, or sneaking some of their wife’s face cream, Western men also support beauty, but in a quieter way. However, beauty products are marketed mostly to women and there should be less restrictions on who can use products. There is no reason for men not to be included in beauty, and we should be making strides to have less of a bias, and become a more inclusive, non-gendered community within beauty and life in general. We are living a human story, not a gendered story.